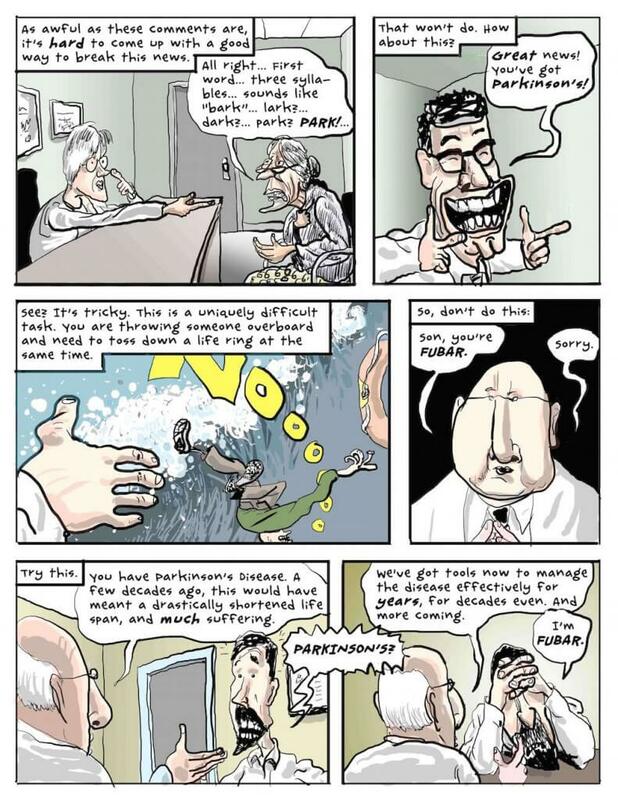 The world-renowned Journal of the American Medical Association (JAMA) has praised political cartoonist-turned graphic novelist Peter Dunlap-Shohl for his contribution to the burgeoning ‘graphic medicine’ patient information movement. 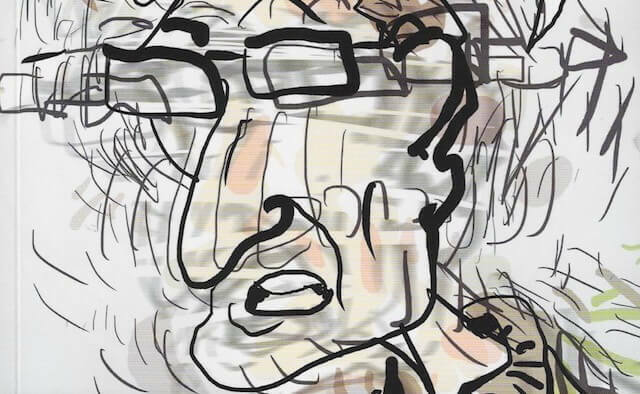 Instead of becoming defeatist, Dunlap-Shohl’s character takes the situation a step further by offering his own tips and positive spin on how a doctor should deliver a Parkinson’s diagnosis. 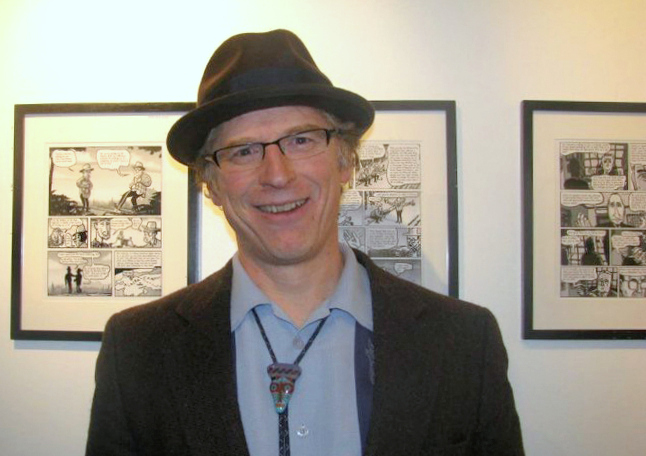 Peter doesn’t let his Parkinson’s hold back his creativity and he is currently working on a big piece of comic strip work on Alaska’s nuclear weapons history. 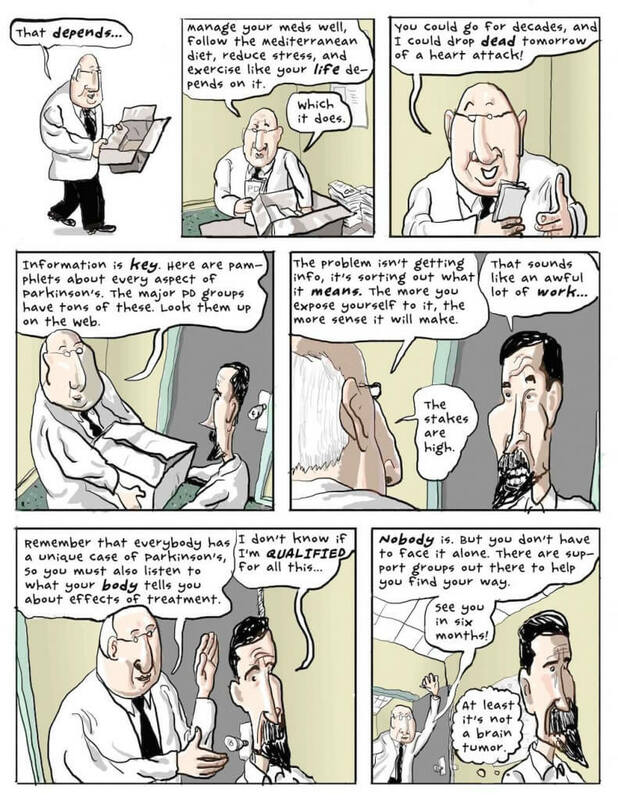 The full journal article, ‘Graphic Medicine: The Best of 2016’, can be found on ‘The Journal of the American Medical Association’ website. There’s only one good thing about Parkinson’s: The constant fight against this damn disease brings our real potential to the surface. Many of us have developed skills they didn’t know they had before, launched projects they didn’t dream of before, and work much harder and more creative than before. Like our life depends on it. And, yes, it does.